One of the things personal injury attorneys see a lot of is clients who have been injured in collisions with drunk drivers. Surprisingly, it does not change the way in which they pursue the case. It may, however, change what you are entitled to as the injured party. In a motor vehicle collision that does not involve a drunk driver – for instance someone is not paying attention and rear-ends you – you will make a recovery for negligence, and negligence carries with it what we call compensatory damages. Compensatory damages are to reimburse you for medical bills, missed time from work, lost wages, and things of that nature. But, if you run a stop sign while drinking a beer, that is wantonness. Wantonness carries with it punitive damages, which aren’t necessarily to compensate the injured person. Punitive damages are meant to punish the defendant, and to deter that type of behavior in the future. So, if you have the same injuries from a driver not paying attention as you do with a drunk driver, your case is not worth the same. Juries have put a much higher price on the case when you have a drunk driver involved. 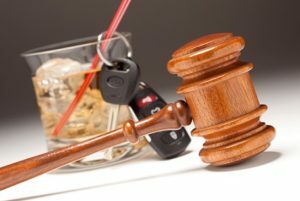 There are strict DUI laws in most states, and the laws have undergone changes that help courts hold the guilty more accountable. In Alabama, for instance, one of the proposed changes has to do with drug DUI charges, and the second has to do with the removal of five year windows for enhancement purposes. Both of these changes would strengthen the DUI felony law in this state. If you are in an accident and you have questions regarding your rights and any claims you may have, please consult our Online Legal Directory to find an attorney in your area.